Often times a payment or payments to S corporation shareholders will be booked or accounted for as a loan to shareholder. Sometimes this is purposefully, other times, it may be due to lack of options. These loans can be advantageous with the proper planning and/or under certain circumstances, but they can also create and lead to unintended and disadvantageous tax consequences. If a loan is not being treated as a loan (documented, repayment with interest etc.) 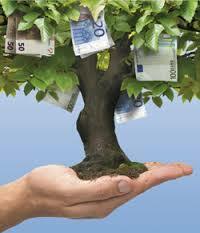 the loan can be reclassified as a distribution to the shareholder. If the shareholder does not have enough tax basis in their stock, taxable gain will result when the loan is reclassified as a distribution. Further, it is important to note that if a loan is reclassified as a distribution and there are multiple shareholders, the distribution could create disproportionate distributions amongst the shareholders. Not only could the disproportionate distribution be a violation of certain law/business acts, the Internal Revenue Service could determine that the disproportionate distributions created or indicate a second class of stock. As an S corporation, there can only be one class of stock, and thus, a second class of stock could/would result in the termination of the S corporation election, which could have ill intended tax consequences and other business consequences. Given the above, what can be done in an attempt to prevent payments or disbursements to a shareholder from being treated as distribution, but rather a loan to the shareholder? Generally speaking, the key is proving intent, that the disbursements were intended to be a loan or loans. Below is a list of the issues and factors a court would likely consider when making a determination of whether or not a shareholder loan was in fact created. Was the shareholder paying interest? It is also important to note, the IRS can impute interest under the Internal Revenue Code. Is the amount/loan being repaid by the shareholder? Is the debt evidenced by a written instrument such as a promissory note, with stated interest, payment terms & conditions and a maturity date? Of all the above issues & factors, perhaps the most important is whether or not the shareholder was actually repaying the loan. Courts have determined a loan existed even without documentation and promissory notes given the shareholder was making payments. The above article has been prepared by John McGuire of The McGuire Law Firm for informational purposes. John focuses his practice on tax matters before the IRS, advising individual & business clients on tax planning and tax related issues and business transactions from business formation and contracts to the sale of a business or business interest. Embezzlement or theft may be a more frequent issue faced by small and medium sized businesses than many people think. Often office managers or employees will improperly take money or assets from a business. Although, perhaps not as common as an employee misappropriating monies or assets, I have seen professionals, such as the businesses CPA embezzle or steal money, which when done is typically a much higher dollar amount and more damaging to the company. One means by which I have witnessed a CPA or professional embezzle monies from a business is through the employment tax (941 tax) process whereby federal tax deposits are paid to the IRS on a weekly or monthly basis. Below I have provided examples of this embezzlement or fraud scheme, which hopefully can prevent some business owners from falling victim. One situation whereby I have witnessed a CPA or office manager involved with theft or embezzlement from a company was when the CPA or office manager was preparing the 941 employment tax returns and in charge of making the federal tax deposits. The scheme was conducted under the following facts & circumstances. The corporation would run payroll and net payroll checks would be paid to all employees and officers. A payroll report was provided to the corporation stating gross payroll, net payroll and the total employment tax liabilities. The correct amount(s) were withdrawn from the corporation’s bank account to pay the tax deposits, but the deposits were not paid to the federal government or state agencies. The deposits went to another account, usually an account under the control of the third party responsible for the embezzlement or fraud. Thus, when looking at the bank statements, payroll records and 941 tax returns, everything would appear ok. The net payroll was paid to employees and the appropriate amount was being withdrawn for tax deposits. The internal books of the business would be in line. When preparing the 941 returns, the correct return was provided to the necessary parties or officers for review and signature, but then a zero ($0) 941 was filed or no 941 was ever filed at all. The business owners can be personally responsible for the trust fund portion of the 941 tax! You may be asking yourself, how does the IRS catch on, or why did the IRS not catch on? The IRS will catch on, because in all likelihood the business must issue correct W-2s to employees so employees can file their individual returns. Eventually, the IRS will see that the W-2s are not matching up with the 941s and the federal ta deposits, but this could easily occur 12-24 months after the fact and thus the fraud could have been ongoing for 24-36 months. Furthermore, if the individual responsible for the fraud also receives the IRS notices and is responsible for IRS contacts, knowledge to the business owners could be further delayed. As a business owner, what can you? Make sure the 941s are accurate based upon payroll and ensure they are filed. If filed and a balance is due, you would receive a notice within 15-60 days. Make sure you are receiving all IRS and tax notices. If you or your business have been the victim of theft or fraud through a similar 941 scheme, please feel free to contact The McGuire Law Firm to discuss your options with the IRS. What is the effect of an individual’s residency and the application of estate taxes? This may be an issue that does not apply to you or your clients because you or your client is a citizen of the United States and thus the law is relatively clear that tax on the individual’s estate is subject to world-wide reach. Once it is clear that your or your client is not a United Stated citizen a determination must be made upon residency, which will impact the reach of the Internal Revenue Code in regards to estate tax. If based upon the facts and circumstances an individual is a resident of the United States for transfer tax purposes then the Internal Revenue Code will reach the world-wide assets of such individual’s assets regarding the transfer of such property regardless of where the property, properties or assets are located. Furthermore, the individual will want to consider the application of the transfer tax laws of the state they are a resident in, or own property. If the facts and circumstances show that the individual is a non-citizen and non-resident of the United States for estate tax purposes, the Internal Revenue Code would hold that transfer taxes should only apply to the individuals assets and property located within the United States, which may be referred to as United States situs property. 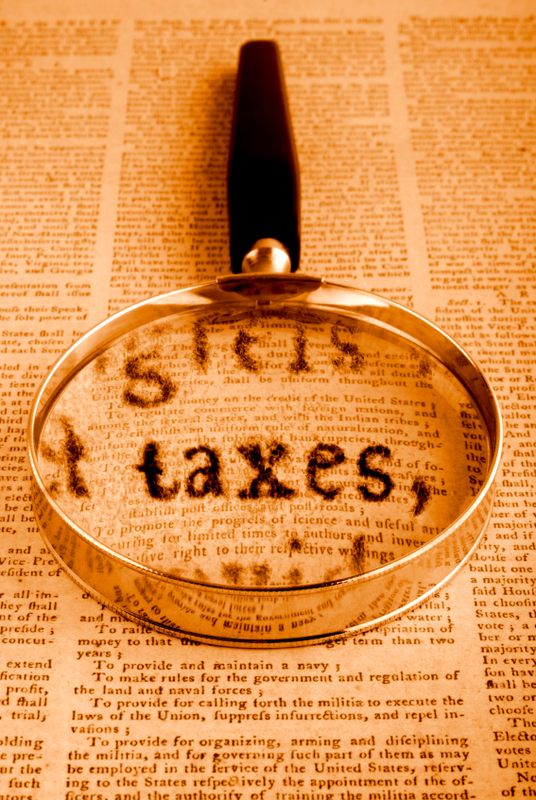 With the above being said, how does one determine residency for transfer tax purposes? Believe it or not, Congress has not provided a specific definition for resident or non-resident. The regulations provide somewhat of a definition using domicile as a concept. The regulations state that a resident decedent is a decedent who at the time of his death was domiciled in the United States, and a non-resident decedent is a decedent who at the time of his death was domiciled outside of the United States. See Regulations section 20.0-1(b)(1) and (b)(2). Thus, we have narrowed (somewhat) our issue to defining what is domicile? Generally, a person will acquire domicile in a place they are living (even for a brief period of time) given there is no present intention of leaving or removing themselves from the present location. Thus, you could say domicile (at least for adults) could be established by physical presence in a place or location that is connected with the individual’s intent to remain in that location. Generally, a child will take the domicile of their parent(s). An individual will initially be considered domiciled where they are born and this domicile will continue until it is show to change. Thus domicile may boil down to presence and intent. Presence may be easier to prove and demonstrate than intent, as intent is inherently more subjective or likely to be so. The above article was drafted by John McGuire. John is a tax attorney and business attorney at The McGuire Law Firm focusing his practice on matters before the IRS, individual & business income tax matters and business transactions from formation and contracts to negotiations and the sale of business assets or interests. Many individuals do not understand passive activities & passive losses and the Internal Revenue Code Sections and Treasury Regulations that provide the tax law surrounding passive activities. Further, you may not be aware that losses from passive activities may be disallowed or “suspended” so to speak. John McGuire, is a tax attorney at The McGuire Law Firm and has prepared the article below to provide information regarding passive activities. Passive activities would be considered business activities or other trade activities whereby you do not materially participate in the business. Material participation involves regular, continuous and substantial involvement in the operation of the business or trade. A common passive activity could be your involvement with rental properties and real estate. Generally, rental properties and real estate activity is considered passive even if you are materially participating in the activity. It is important to note that you may be considered a real estate professional and with such designation your rental activities may not be considered a passive activity. Below are some common questions and issues related to passive activities. Although, the passive activity rules do not apply directly to a partnership, S corporation or grantor trust, it should be noted and understood how the passive activity rules can apply to the owners of these entities. In general, a passive activity loss will be disallowed. Your passive loss would be the excess of your passive deductions over the gross income from your passive activities. Certain passive losses may be allowed, which are issues for a separate article. So, if a passive loss is disallowed, what happens to the loss or do you ever get to use or take advantage of the loss. In general, you may be able to take the disallowed loss or losses when you dispose of your entire and total interest in the property. For example, assume you could not take certain losses from real estate due to your adjusted gross income or other issues. When you do sell the property and dispose of your entire interest in that real estate whereby the loss has been disallowed, you may be able to claim the previously disallowed passive activity losses. This is different from unused passive activity credits. You cannot claim unused passive activity credits when you dispose of property with the unused credits. 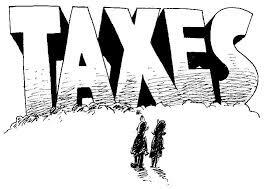 You can contact The McGuire Law Firm to speak with a tax attorney regarding your individual and/or business tax matters. In addition to his law degree, John McGuire holds an LL.M., which is an advanced degree in taxation. Mr. McGuire’s practice focuses primarily on tax issues before the IRS, individual & business income tax matters & law and business transactions. Contact The McGuire Law Firm at 720-833-7705 or https://jmtaxlaw.com/ to speak with a tax attorney in Denver, Colorado or Golden, Colorado. How is my settlement taxed? If you are involved in a lawsuit and are anticipating compensation for damages, this is a question you may be asking yourself and it is important to understand the tax implications related to your settlement. The article below has been prepared by John McGuire, a tax attorney and business attorney at The McGuire Law Firm to discuss the taxation of settlements for lost wages, lost profits and loss in value of property. Please remember that this article is for informational purposes only and to consult directly with your attorney and tax advisors. If your lawsuit is an employment related lawsuit for a claim such as involuntary termination or unlawful discrimination, the proceeds received for lost wages, severance pay or back pay are considered taxable wages and are subject to self-employment tax. Thus, these settlement proceeds are subject to federal income tax, social security tax and Medicare tax. Furthermore, these proceeds should be subject to withholding and therefore the payor (generally the employer) should issue a W-2 to reporting the wages or salary (income) and taxes withheld. 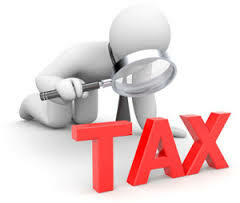 You would thereafter need to report this income on your 1040 individual income tax return. What about lost profits from a trade or business. Settlement proceeds received from lost profits will also be subject to self-employment tax and would be included in your business income. Issues and facts may vary, but in general, proceeds for lost profit would be reported as income to your business as if the business had made the money. What if your lawsuit involves property and the lost value of property or loss in value of property? If the settlement amount for a loss in value of property is less than the adjusted basis in the property, than the settlement amount should not be taxable, but you need to remember to thereafter reduce the adjusted basis in the property by the settlement amount for future gain or loss determinations. On the other hand, if the settlement amount you receive exceeds the adjusted basis in the property, this excess amount is income. The income may be capital gain income, and a full discussion of this issue would be better served in a separate article. You can review the instructions for Form 4797 and Schedule D, which discuss capital gain & loss, and the Sale of Business Property. What if a portion of my settlement proceeds are allocated for interest? Generally, the interest portion of the settlement would be taxable as interest income, and thus would subject to ordinary income tax. What about punitive damages? Punitive damages are generally considered “other income” and thus would be subject to ordinary income tax.Please note, you may be required to make estimated tax payments based upon your settlement amount, which you can review under IRS Publication 505. You can contact The McGuire Law Firm to schedule a free consultation with a tax attorney in Denver, Colorado or Golden, Colorado. When property is transferred because of a divorce, is the transfer of property taxable and what tax issues should be considered? This is a common question when an individual is going through a divorce and begins to look at and consider the settlement agreement and terms the parties are discussing. The article and information below has been prepared by a tax attorney to provide general information regarding common tax matters and issues related to a divorce, separation of property and payments made after the divorce may have been finalized. Please remember to consult your divorce attorney and/or tax attorney to discuss the specific tax implications of your divorce proceedings and related agreements. Perhaps the key Internal Revenue Code section regarding this matter is Section 1041. In general, IRC Section 1041 holds that transfers of property from one spouse to another spouse (or a former spouse) is not taxable when the transfer of property is incident and through a divorce. It is important to note that if through the divorce, the parties agree to sell property to a third party, or the court orders the sale of property to a third party, the transfer or sale would be taxed under the normal tax principals. This is so because the sale or transfer of the applicable property is not considered to be a sale or disposition subject to the divorce. The non-taxable transfer of retirement accounts such as 401(k)s and similar profit sharing plans requires a specific court order known as a Qualified Domestic Relations Order, which is often referred to as a QDRO. What about alimony? Is alimony taxable? Yes, alimony payments will be taxable to the spouse that receives the alimony payment and is deductible by the spouse (payor) that is paying the alimony. It is important for the parties to know that they can also opt out of payments being considered alimony. The parties must specifically state in the divorce documents and instruments that the payment is not alimony and thus not taxable to the recipient and thus not deductible by the party making the payment. What about child support payments? Are child support payments taxable? No, child support payments should not be taxable to the recipient, nor is the party making the child support payment allowed a tax deduction for making the payment. For example, Jack and Jill are finalizing their divorce agreement and the agreement holds that Jack will pay to Jill $500 per month in maintenance and $700 per month in child support. The $500 maintenance payment would be taxable income to Jill and a tax deduction to Jack. The $750 child support payment would not be taxable to any party, and Jack would not be allowed a deduction. Thus, in addition to consulting with a divorce attorney or family law attorney, you may wish to consult with a tax attorney regarding the tax implications of your divorce decree and settlement documents. Can the Internal Revenue Service refile a Notice of Federal Tax Lien? This is a very important question if in fact the IRS has filed a tax lien on you or your business. The answer, of which, greater detail is provided below, is yes, the IRS can refile a tax lien. The article below has been prepared by John McGuire, a tax attorney in Denver, Colorado at The McGuire Law Firm. 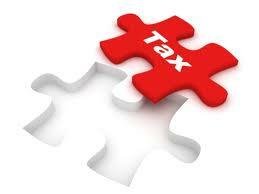 Please remember to always discuss your tax issues and related questions with your tax attorney or tax advisor. Some background and overview will assist in answering the question above and general procedures followed by the Internal Revenue Service. 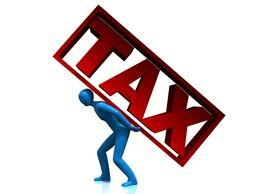 A statutory lien arises when a taxpayer does not pay a tax debt after demand has been made. If no notice of federal tax lien is filed, the duration of a statutory lien will depend only upon the collection statute. When the Notice of Federal Tax Lien is file, the statutory lien is impacted by such lien notice. A statutory lien is always extinguished when the collection statute expires, but a statutory lien can also be released through self-releasing lien language on the Notice of Federal Tax Lien. The self-releasing lien language may apply even if the collection statute was extended, or perhaps suspended. The main policy behind a self-releasing lien is to ensure the government’s compliance with certain laws. Under Internal Revenue Code Section 6325, the IRS must issue a lien released within thirty days of the liability becoming legally unenforceable or the liability being paid. The trigger for a self-releasing lien will coincide with the initial collection statute expiration date, which helps to ensure that the IRS property releases the tax lien within the period of time mandated by law. When it is determined there is a need to continue the statutory lien and the Notice of Federal Tax Lien, Form 668Y is used to notify creditors (and the public) that the statutory lien and Notice of Federal Tax Lien remain in full force. It is very important to note that the refiling of a tax lien can only occur while the tax liability can be collected upon, meaning the collection statute has not expired or the collection statute has been extended or suspended. The IRS does not have to refile the lien though, even if the collection statute is open. Generally, the IRS will only refile the liens when there is a need to preserve the attachment of the statutory lien to certain assets and maintain priority lien position amongst other creditors. When the lien notice is refiled Internal Revenue Code Section 6323(g) the IRS’ lien position is preserved. All this being said, what is the refiling period? The time the IRS has to refile a notice of Federal Tax Lien has a beginning and end date. The refiling period is a 12 month period. This one year period the IRS has to refile the tax lien is the one year period ending 30 days after the ten-year period following the assessment of the tax for which the lien was filed. For example, if the tax was assessed on April 15, 2010, the refiling period would be April 16, 2019 through April 15, 2020. In short, the IRS has until 30 days after the collection statute expiration date to refile the lien. The above article was prepared by John McGuire of The McGuire Law Firm. As a tax attorney and business attorney, Johns practice focuses primarily on tax issues before the IRS, tax related opinions & advice and business transactions. 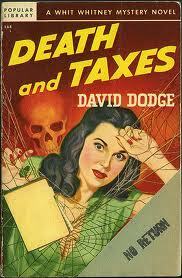 Can I plead the 5th during the course of my communications with the Internal Revenue Service? This a common question I am asked by clients and taxpayers who may be under an IRS audit, IRS debt matter or other related tax issue. The article below has been prepared to provide general information regarding this matter, and it is recommended that you consult your tax attorney regarding the disclosure of information to the IRS. The 5th Amendment of the United States Constitution holds that a person should not be compelled to be a witness against themselves. Thus, it is possible to plead the 5th Amendment in certain tax proceedings if answering a question would incriminate the summoned individual. However, what a taxpayer should understand is that information, documents and other related evidence that has been produced voluntarily by the taxpayer (or another witness) who has been summoned, can be used against the taxpayer even if the information would be incriminating. Internal Revenue Code Section 7602 authorizes the IRS to summon taxpayers and other third parties to testify as well as provide records, documents and information. Although a summoned person can plead the 5th amendment regarding an inquiry or question that may tend to incriminate them, as stated above, this does not apply to documents that may have already been voluntarily provided to the IRS. This is so because the government did not compel the summoned person to produce the information when the information was voluntarily produced. In certain circumstances the actual act of producing and providing documents can incriminate an individual because the mere act of providing the documents is an admission that the documents and information actually exist. Whether or not the actual act of production would incriminate an individual would be based upon the facts and circumstances of the actual case at hand, but, the person may have a valid argument using the 5th Amendment privilege against producing existing documents that were voluntarily created. What about third parties who may have received information or documents from the individual that is asserting their 5th Amendment privilege? If a taxpayer has transferred information and documents to a third party, the IRS can summon such individual, and the taxpayer cannot argue the 5th Amendment to prevent the summoned party from disclosing documents and information to the IRS. This is because the 5th Amendment is personal and therefore only the taxpayer can assert the privilege. That being said, what about when the taxpayer provides information to their tax attorney? If the taxpayer would have been able to avoid producing the records prior to transferring them to their tax attorney, the attorney-client privilege will prevent the IRS from summoning the attorney given the records were transferred to obtain legal advice. The above article has been prepared by John McGuire from The McGuire Law Firm. Mr. McGuire is a tax attorney whose practice focuses primarily on tax issues before the IRS, tax law & planning and business matters.